Swisse Ultiboost Magnesium is a premium quality formula containing a bioavailable form of magnesium (citrate) to help support healthy muscle function, support a healthy nervous system and assist energy production. Magnesium helps support a healthy nervous system. 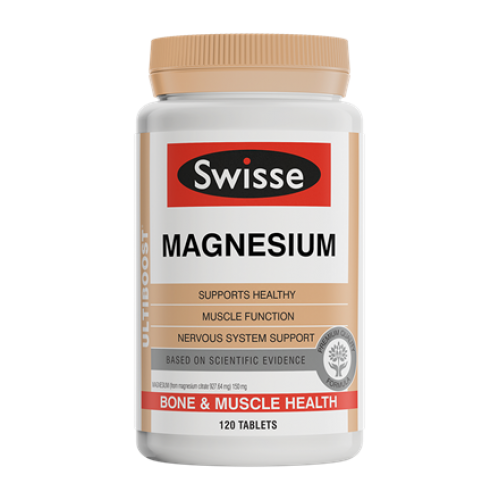 Magnesium helps the body metabolise food into energy and assists with cellular energy production.